A few days ago devastating news arrived via Facebook about the violent death of a young guy form Burin called Fouad Eid. 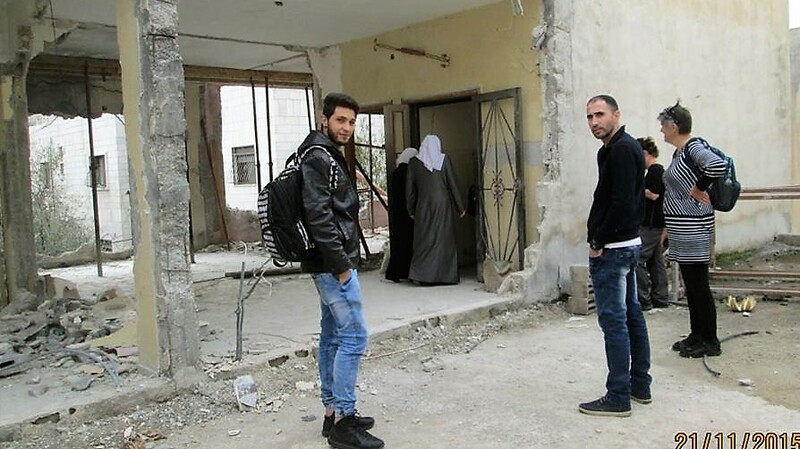 I met Fouad in Palestine in October’15 when he coordinated the international presence of ISM/IWPS volunteers in the ad-Dahia neighbourhood of Nablus, threatened by house demolitions. 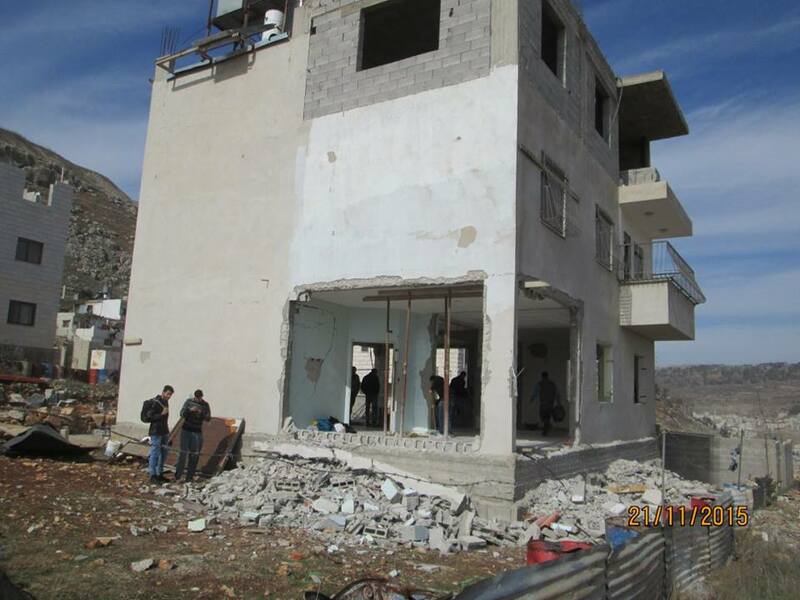 Three houses belonging to Palestinians accused of the killing of the Ytzhar settler couple in October 2015, were given demolition notices by the occupying Israeli army. The families and their neighbours, faced a nerve-wrecking wait for the Israeli army bulldozers to roll in and do their shameful home destructions work. We arrived with Fouad to ad-Dahia late at night. Understandably, the tensions were running high and the sense of injustice, anger and anxiety in anticipation of violence, was palpable. The streets of ad-Dahia stretching above Nablus, up the steep and high hill, were blocked with the lines of rocks placed by the residents, aiming to stop or at least slow down the advance of Israeli army bulldozers. 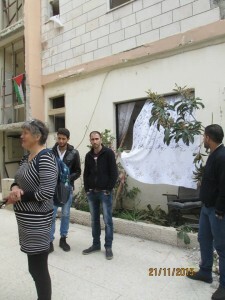 There was an atmosphere of impending doom and there was Fouad with his calm and friendly manner talking to everybody and trying to figure out what kind of support residents wanted from us, the internationals, and what would be the best course of action to take. It struck me how young Fouad was. He was friendly and mild mannered and yet highly focussed and obviously very experienced. That gave him an air of authority and I felt that in spite of the fact that anything could happen, we had the best possible guide and companion in him. Fouad told us that it was likely that the Israelis would play this cat and mouse game with their Palestinian victims, possibly for days and maybe weeks, and when everybody was exhausted by sleepless nights, the tanks and bulldozers would roll in. And he was right. Next time I met Fouad it was in mid-November when he took me and my IWPS colleagues Bjork, B. to ad-Dahia to see three homes in ruins, in addition to two more, one in Nablus and one in a nearby suburb. Throughout the very emotional and desperately sad day. We saw insides of people’s homes destroyed and displayed to the eyes of the outside world. Outside walls were missing, being blown outwardly and turned into the piles of rubble. Fouad continued to talk to everybody, finding out and telling us what happened in detail, talking about efforts by the neighbours to clear the destruction and help repair the enormous damage. Fouad was an activist and a patriot. He refused to succumb to despair and hopelessness. He showed deep solidarity with his fellow Palestinians and made sure that horrible stories of Israel’s atrocities are both told and heard as widely as possible. 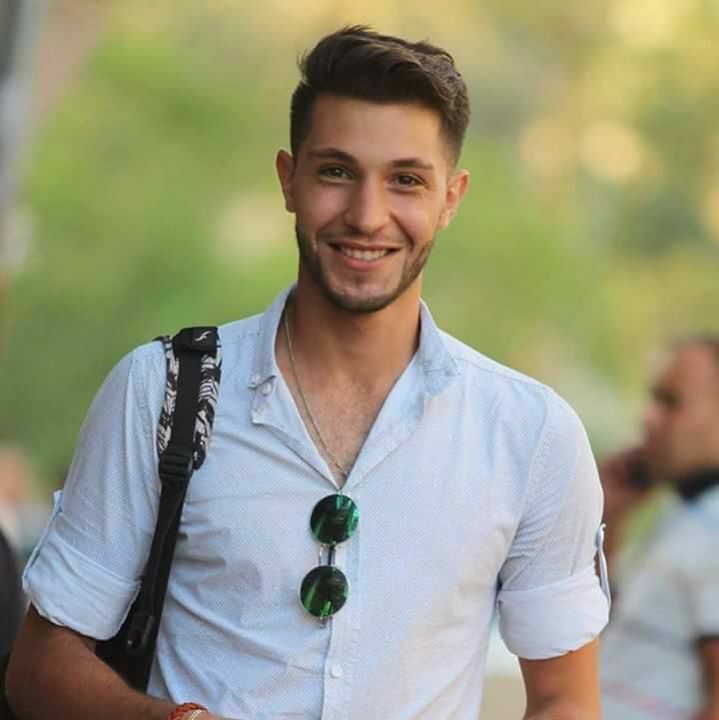 When I left Palestine I continued to follow Fouad on Facebook and look at the happy pictures of Fouad with his mates in their wonderful and selfless efforts to resist the brutal and inhuman occupation and live as normal life as possible, similar to the life young people live around the world. It is hard to believe that Fouad’s life has been so brutally and senselessly stopped, by another Palestinian, who is condemned himself to a refugee life and a life of brutality, by the Israeli occupiers. The outpour of grief was extraordinary on the social media, in Arabic and in many other languages. So many people were lucky to have met Fouad and to have been able to learn from him about Palestine, its past and its present and to learn from Fouad’s own example what it means to be a true patriot resisting relentlessly and non-violently the injustice and brutality of the Israeli occupation he and his parents were born with. I will always remember him and so will all my IWPS and other solidarity activists who knew him.